In Morristown, New Jersey, that state’s new first lady told a crowd she was a victim of sexual violence while attending college. Tammy Murphy, the wife of Democrat Phil Murphy, said the attack occurred while she was a sophomore at the University of Virginia. She said she was walking along a path when a man grabbed her and pulled her into some bushes. She said the man tried to take her clothes off and put a crab apple in her mouth to silence her but she bit his hand and fled half-dressed to a nearby fraternity house, where students called police. The 2017 rally in Washington, D.C., and hundreds of similar marches created solidarity for those opposing Trump’s views, words and actions. 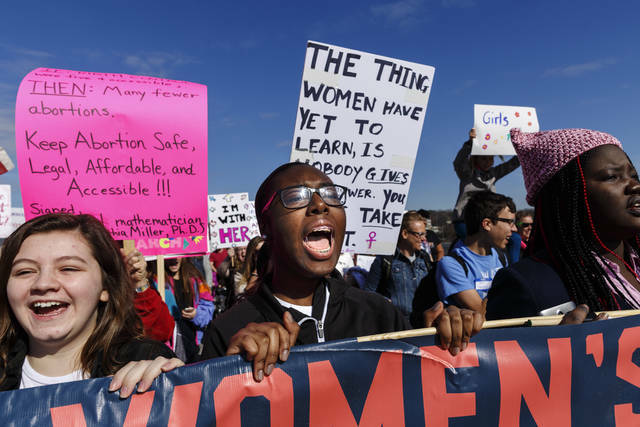 Millions of people around the world marched during last year’s rallies, and many on Saturday talked about the news avalanche of politics and gender issues in the past year. 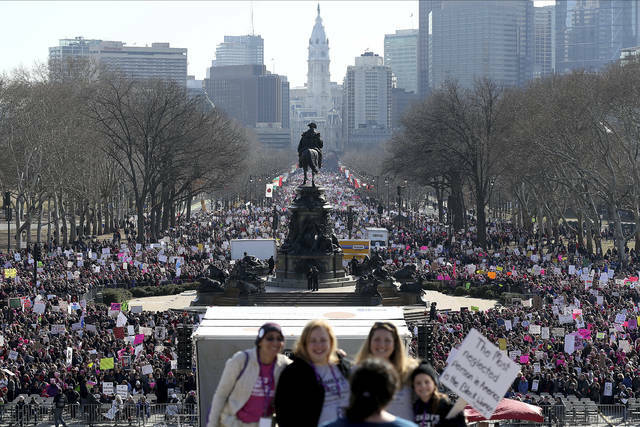 Meanwhile, Trump on Saturday mentioned the same time frame, tweeting that it was a “perfect day” for women to march to celebrate the “economic success and wealth creation” that’s happened during his first year in office — while women across the nation rallied against him and his policies. 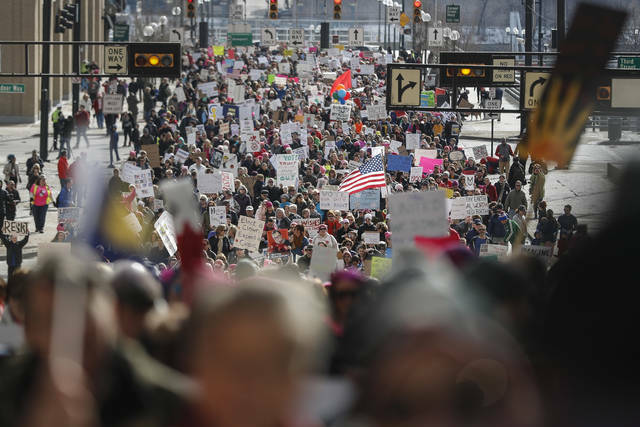 Demonstrators denounced Trump’s views with colorful signs and even saltier language.